The district recently unveiled a new safety plan that includes adding a trained police officer in every school, an increase from three to 14. It would also provide additional surveillance equipment, increased facility lockdown tools, mental health counseling staff, and the elimination of portable classrooms. In the aftermath of the May 25 shooting at Noblesville Middle School West, parents have asked the district to fortify the schools with security and provide more services to help students with mental health and emotional needs. The new funds would also go toward recruiting and retaining teaching staff. 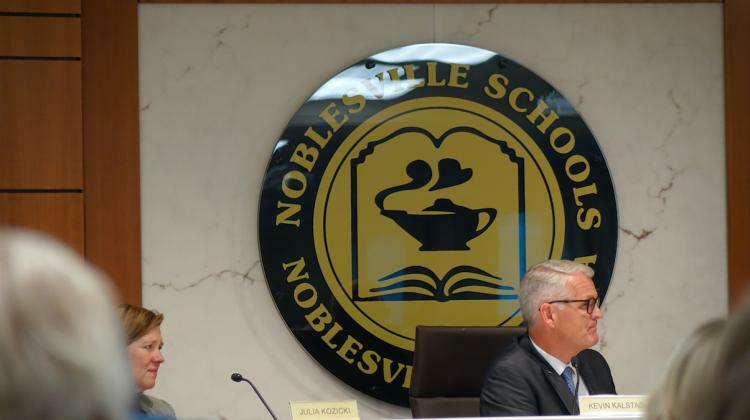 This referendum for the Nov. 6 ballot would be the sixth tax increase requested by Noblesville Schools since 2009. That year the district narrowly lost the approval of a $59.9 million levy for construction needs. The community voted to approve tax increases on four separate referenda in the years after the loss. A political action committee will promote the Nov. 6 referendum. Details about the proposed tax increase can be found at milleryes.org. Middle school teacher Jason Seaman and 7th-grade student Ella Whistler were shot by a 13-year-old student the morning of May 25 after he left Seaman's class and returned with two handguns. Seaman stopped the shooting, according to students in the classroom. The boy shot Whistler seven times and Seaman three times. The 13-year-old would have faced two felony charges of attempted murder and nine other counts if he were an adult. He is being tried as a juvenile due to state law. The boy is expected to be in Hamilton County Circuit Court in September for a fact-finding hearing.